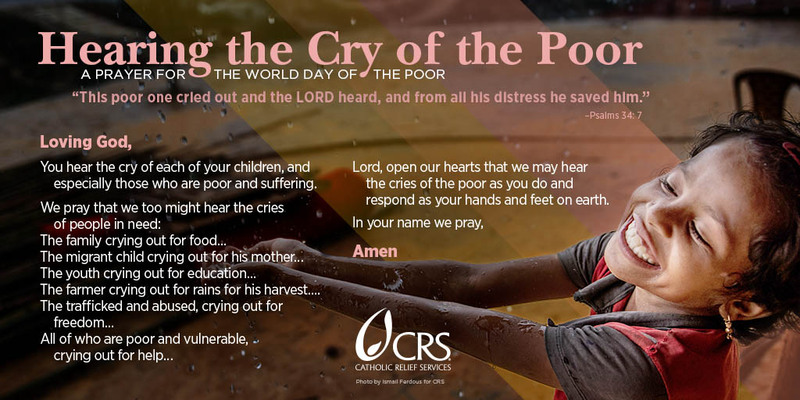 November 18, 2018 marks the Second Annual World Day of the Poor. This is a day when Catholics throughout the world are called to greater solidarity with the poor near and far. There are a number of ways to embrace this call of our Holy Father Pope Francis. 1. Pray for the Poor. There are many people who need our prayers. If you’re not sure where to start, try praying with the news. As you see headlines about what’s happening around the world, pause and pray for the people affected by those stories. Use the Examination of Conscience to consider the poor before prayer or the Sacrament of Reconciliation. Use the personal reflection guide. This can be done individually or as a group. Ask your pastor to use the Intercessory Prayers and/or other information in this Pastoral Resource. 2. Practice the Corporal Works of Mercy. The Corporal Works of Mercy are drawn from Jesus’ life and teachings. They call us to feed the hungry, give drink to the thirsty, shelter the homeless, visit the sick and imprisoned, bury the dead, give alms to the poor. Pope Francis added a new work of mercy; to care for God’s creation. The Corporal Works of Mercy offer a clear model and starting point for how to care for our neighbors in need. 3. Make Caring for the Poor Part of Your Buying. Do you buy coffee, chocolate or Christmas gifts? One way to support low income workers around the world is by buying things you use on a regular basis from organizations that pay a fair wage. If you drink coffee or tea, look for a fair trade label, which means that the farmers who harvest the coffee or tea are paid fairly and work in safe conditions. As you begin your Christmas shopping, consider buying gifts from around the world that are produced and traded ethically. 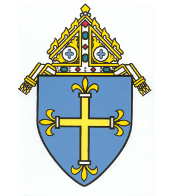 Join Bishop Sirba at Catholics at the Capitol, a Minnesota Catholic Conference sponsored event where we bring our faith to our elected officials, held February 19, 2019. 5. Support the Church’s Outreach to the Poor. Participating in CRS Rice Bowl during Lent, joining or forming a parish social concerns committee (call the Diocese for assistance with this) are great ways of supporting the Church’s outreach to the poor.